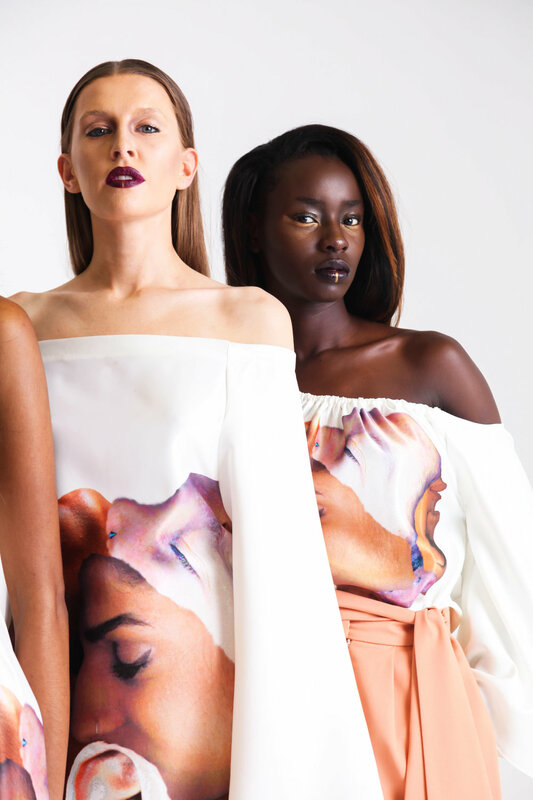 When crafting the Canvas collection, Toyan Oriogun used the concept of expressing diversity, the simplicity of being inspired by all women's persona within elegance and modern style. The prints display the meaning of equality and beauty in all races, identities and culture in women represented as a painting displayed on a clean white canvas. The use of satin fabric, clean lines, fluent structures and elegant designs is what makes this collection one for all seasons. "She embodies strength through bold colours and textured print and embraces softness through fluent contours representing a blank canvas." - Toyan Oriogun.